The Clumber Spaniel Club was founded in 1904 with a membership of forty enthusiasts. It was, however, not officially recognised by the Kennel Club until the 1920 Stud Book listed the Club in its pages. Today membership is around 350 with members from across the UK and around the world. Members receive a newsletter twice a year and a bi-annual yearbook. Each year the Club holds both an Open and a Championship Show. Clumbers have been popular as show dogs since the advent of dog shows and in 1991, Ralph Dunne’s Sh Ch Raycroft Socialite achieved the highest accolade taking the title Crufts Supreme Champion. The Clumber Spaniel has been prized as a working dog for over 200 years and although its popularity dropped during the middle of the last century, it is now making a steady comeback in the shooting field. The Club holds a range of working events throughout the year, from introductory training days to a Field Trial where the more accomplished dogs can show their merits. Some Clumbers have also shown their versatility in other newer disciplines such as tracking, agility and heelwork to music, while others as Pat Dogs have enriched the lives of those they visit in hospitals and retirement homes. The Clumber Spaniel Club promotes the Kennel Club’s Good Citizen Dog Scheme and offers opportunities to its members to test their dogs at the awards. It also holds seminars and fun days for members to come together and enjoy this wonderful breed. 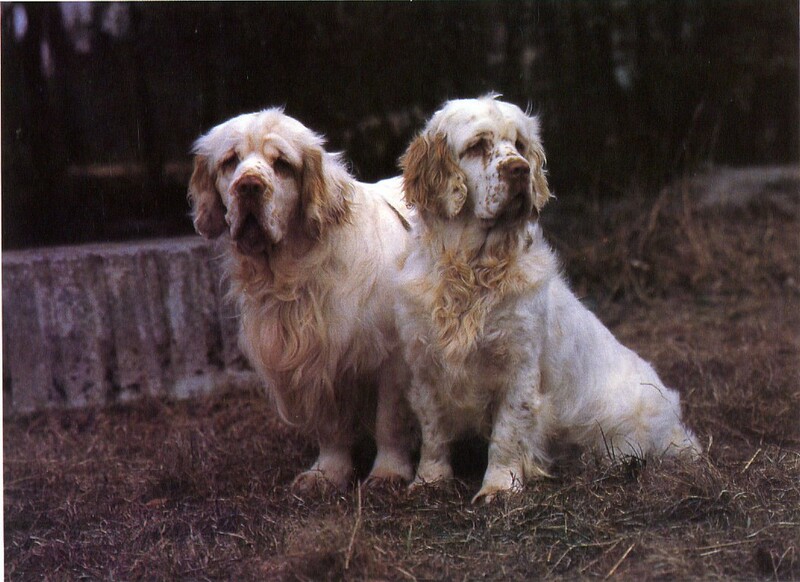 Internationally, the Clumber Spaniel Club maintains its links with its sister Clubs around the world and participates at the International Breed Seminars held every few years. To promote the breeding of the Clumber Spaniel to conform to the Kennel Club Breed Standard. To support and encourage the working abilities of the Breed. To advance and protect the interest of the breed at all times.